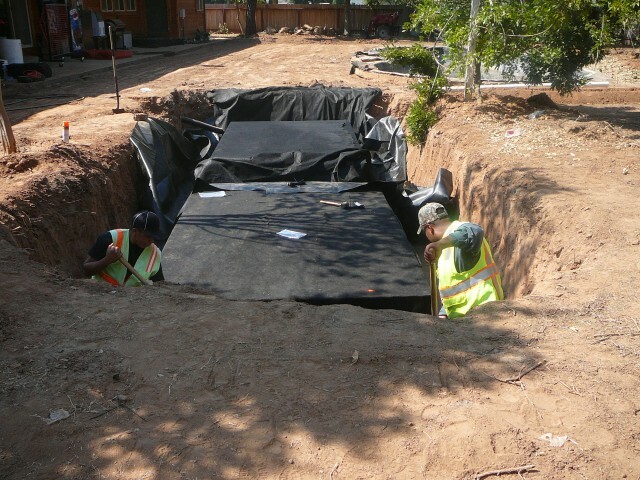 Thunder Mountain designs water “retention” systems for re-use applications such as emergency supply, irrigation, and livestock, and can provide water “detention” systems for storm water management, erosion control, and groundwater recharge. Prior to the twentieth century, cisterns were commonly used to store rain water for use later on. Cisterns are still used in remote areas to store water, often hauled in by truck. 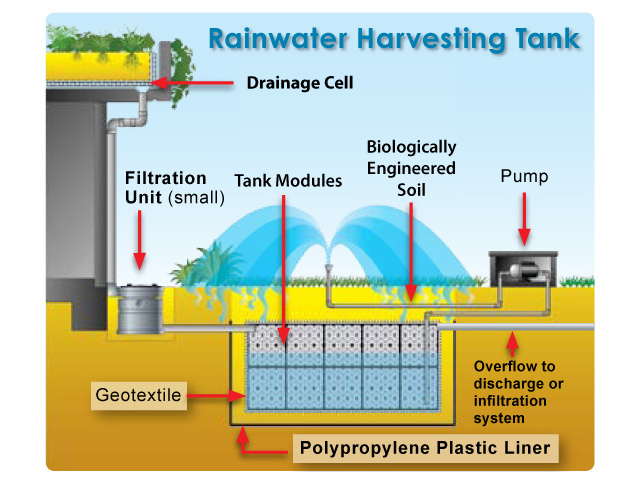 Above-ground tanks fed by wind powered water wells are still a common sight for watering livestock, however with ever-expanding municipal water systems along with common electrical power to most locations, self-sustaining private residential, agriclutural and commerical water supplies became less important during the twentieth century – that is until many areas started running out of water. There is no smarter time than now for property owners to invest in a secure water supply they can control, that is not metered, has no fees, and is not taxed, or rationed except according to their own best management practices. 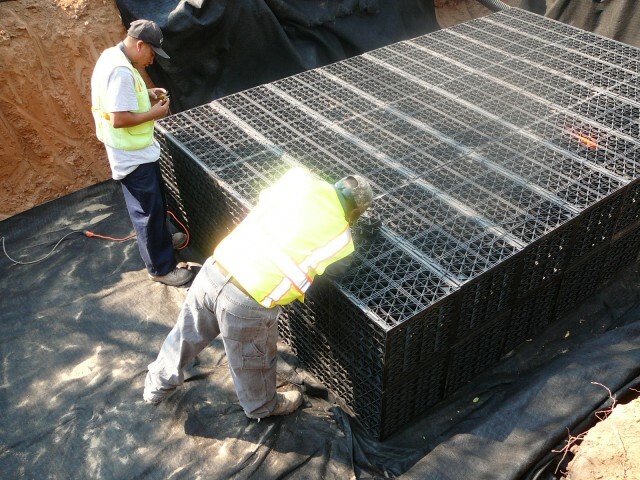 Modular underground systems are specifically designed and sized for site soils, annual precipitation, and intended use. 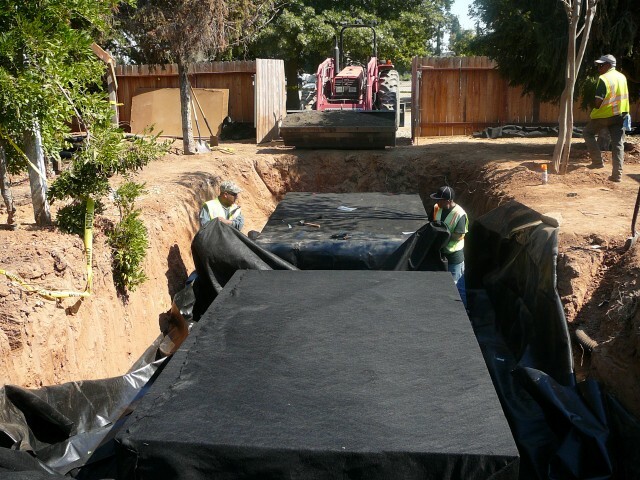 Of particular advantage in limited or uneaven terrain, Thunder Mountain designs underground storage systems that don’t take up valuable surface space, do not degrade, and don’t crack, leak, rust, or wear out – ever.